For the past week, I’ve been researching vintage hair and makeup artists for my wedding. Without giving too much away, the dress I’ve chosen (yes! I have my dress!) lends itself to a 20s or maybe 40s style – I’m thinking soft Victory Rolls, finger waves, rich red lips and cat-eye liner. Not particularly bridal, but pink lip gloss has never been very ‘me’! All that researching (read: endlessly scrolling through the ‘Hair and Beauty’ page on Pinterest) has given me an appetite for a classic vintage style, and I’ve been trying out new combinations to achieve a modern-vintage look. After trying a few things, I’ve decided there are two easy ways to ‘vintage up’ your current look. First, wear red lipstick. Always and forever. Second, chuck on some faux fur, preferably in the form of a wrap or stole. Of course, this isn’t an authentic vintage look. Nowhere near. I’m not going for that Wartime Woman style or sourcing original underwear from 1952. Authenticity is a touchy subject when it comes to vintage fashion, and some vintage enthusiasts believe there is no middle ground – you either go all out or not at all. 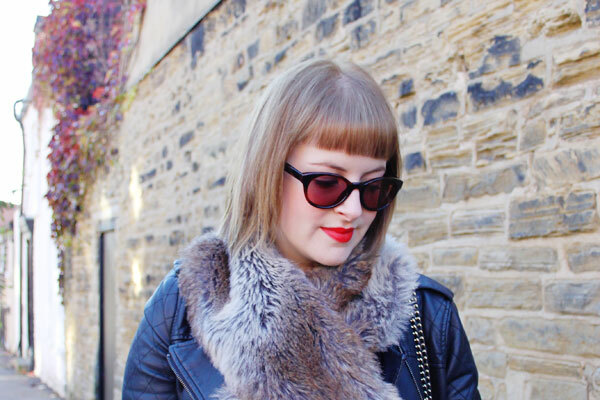 But for a quick vintage fix that doesn’t require hours spent in charity shops or scouring eBay, a bit of faux fur and a bright red pout will do the trick. What do you think – can you achieve vintage style with a few well-placed accessories, or does the look require more effort? I love a splash of vintage every so often. I think vintage is what ever you want it to be. Just a nod to an era through a hairstyle or accessory is fun, going all out to entirely replicate a look requires dedication and time that not everyone has. As a vintage shop owner online it’s needless to say I love collecting vintage items, but I happen to be in the “camp” of people who don’t think you need to be dressed in head to toe vintage to have vintage style. Just take a look at Kate Moss or Paloma Faith. I do want to add however, I admire those who recapture the look of an era with authenticity and think they look marvelous in their all vintage wardrobes. To me adding a bit of vintage here and there is a fun and creative way to inject your own personal style into your wardrobe and it’s always a great statement to come up with a look that you know is as unique as you. 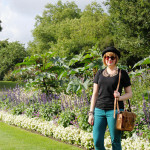 i always love adding just a touch of vintage to my outfits and when i’m doing that it usually involves red lipstick too! 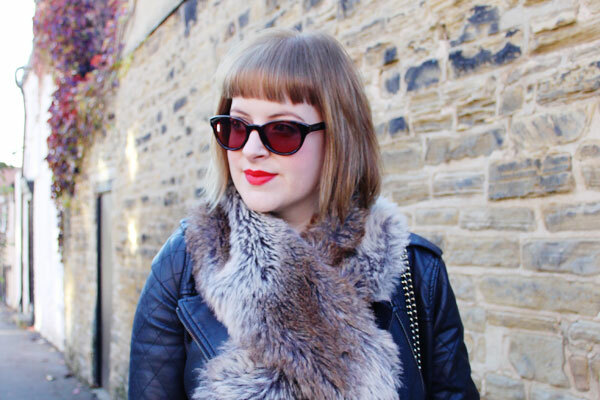 i’ve been buying fur scarves recently too – maybe subconsciously that’s why. I have a feeling I’m going to like your wedding. I wore my hair and makeup in a similar style on my wedding day. It felt fabulous and oh so glam! I definitely believe a vintage look can be what you want it to be. I’m drawn to the aesthtic of the past, how I achieve it is irrelevant. 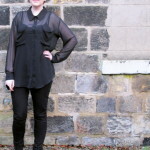 I think a head-to-toe vintage look can look fab, but you definitely have to put in the effort! I take a flexible approach to vintage – I don’t have the time or energy for head-to-toe but love incorporating a few vintage touches into work outfits to keep things interesting. I think I’ll be having a similar make up look – it HAS to be red lipstick – no wash-out pinks for me either. I admire people who take vintage style so seriously that they match everything from a certain era, but I like bits and pieces from so many different eras that I love combining them. 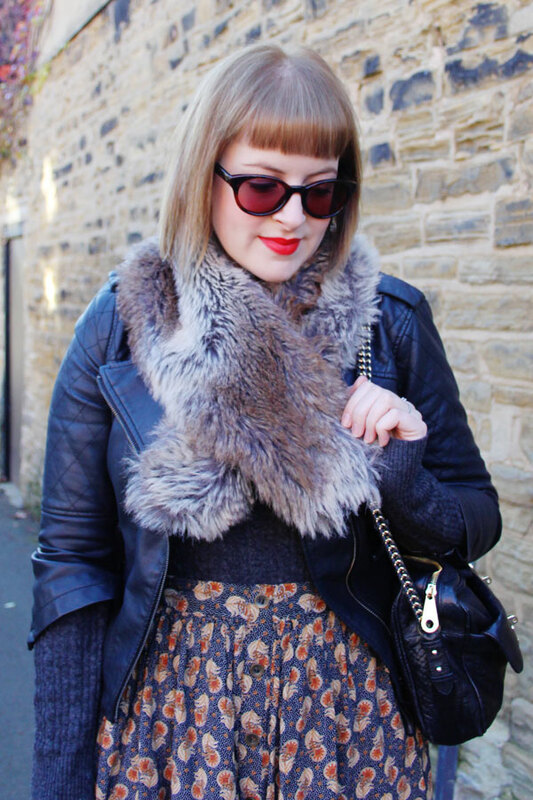 The fur collar certainly adds a glam feel – I always feel like a 1940s starlet when I wear mine! Ummm… glad you like my clothes? I’m 26. Hope that helps. How utterly bizarre the comment above is. People+internet = strange behaviour. You are far from fat, ugly or old looking. I think I will totally be rocking eyeliner and red lipstick for my (as of the moment, completely theoretical wedding) because I am so not a neutral girl and I think it will still look good when I look back on my wedding photos! 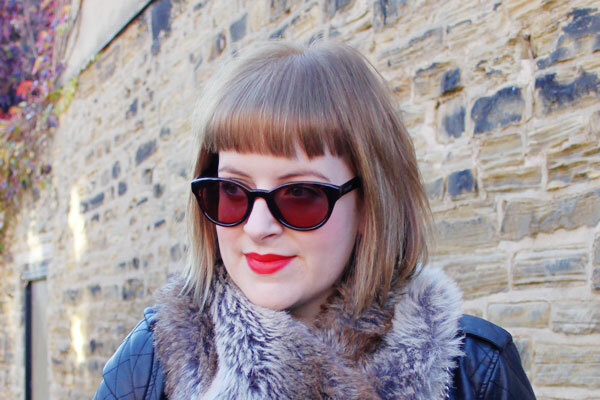 I’m a vintage gal, I try to incorporate a little 50s glam in to an every day style without looking too ‘made up’. You have done it perfectly but I would suggest for those less daring something as simple as a clean up-do, subtle cat eyes and some tinted lipgloss. You could also add some retro glasses and some opera length winter gloves (I have some in leather) to kick it up a notch. Red lipstick can take dedication for day wear. Always keep your makeup matte and go for classic style, you can’t go wrong! It really suits you! I love it!